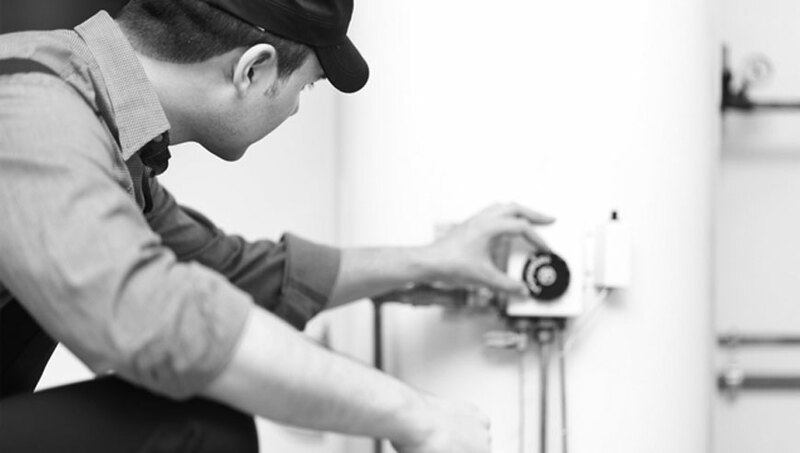 It’s a good idea to flush your water heater once per year or anytime you change your element. You water heater builds up sediment and minerals that break down the tank liner and components that can lead to premature failure and excess energy use. 1. Set your pilot light valve down to the “pilot” setting. Do not turn off the gas to the heater. 2. Turn off the water supply, both hot and cold. 3. Attach a garden hose to the drainage valve at the bottom of your tank. 4. Position the other end of the hose safely away outside to drain. 5. Turn on a hot water faucet in the house from a nearby source to allow air into the top of your tank. 6. Turn on the drain valve, and allow tank to empty for five minutes. 7. Once the tank has completely emptied, turn on the cold water supply on to flush out any remaining sediment from the tank. 8. After 5 minutes, inspect the water being evacuated and look for any sediment. If it’s clear, you’ve properly flushed your tank of accumulated matter and disconnect the hose. 9. Return the pilot control to the previous setting and allow ample time for the water to heat back up. Then, turn on the hot water supply. 10. You’re set to use your clean water supply.